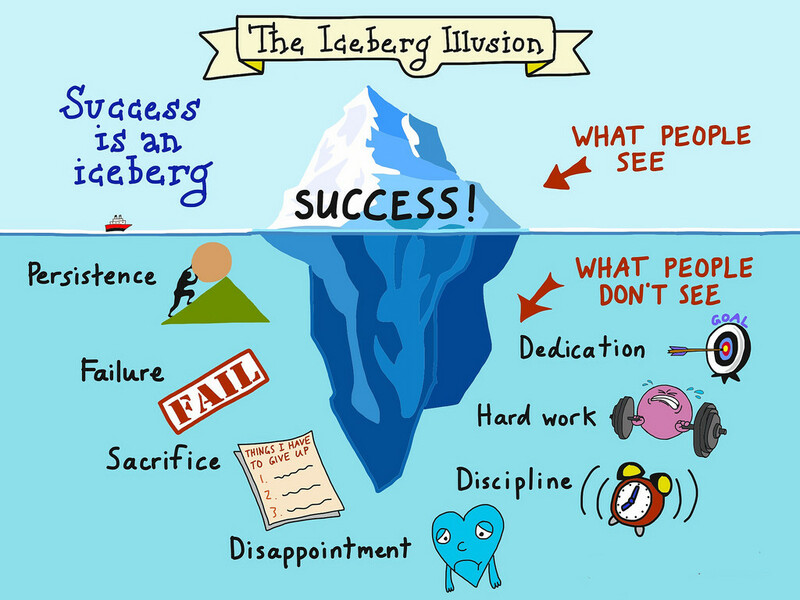 The well know Iceberg Illusion can be used to describe many things, but one of the best analogies to it is how we often view being successful. What many people often see in successful people is the final and only visible part but, like an iceberg, the greater part of what it takes to become successful is hidden. Success in almost any field requires a great deal of determination and perseverance which often gets overlooked by people. Many times as well, we often get discouraged by the trials and tribulations in our own pursuit of any goal we want because we failed to realize the hard required to obtain it. But rather than being discouraged we should always take the time to truly understand just what it takes to achieve anything we truly want, and work hard to overcome all obstacles!